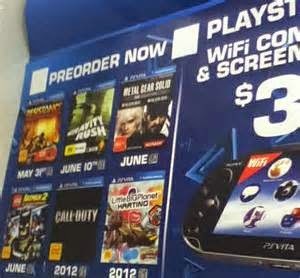 If you weren't an early adopter of the PS Vita you may not remember the leaked image of Little Big Planet Karting showing up as a PS Vita game in a few store flyers. Even before that occurred in February of 2012 the game also appeared on Gamefly as a rental for the PS Vita. 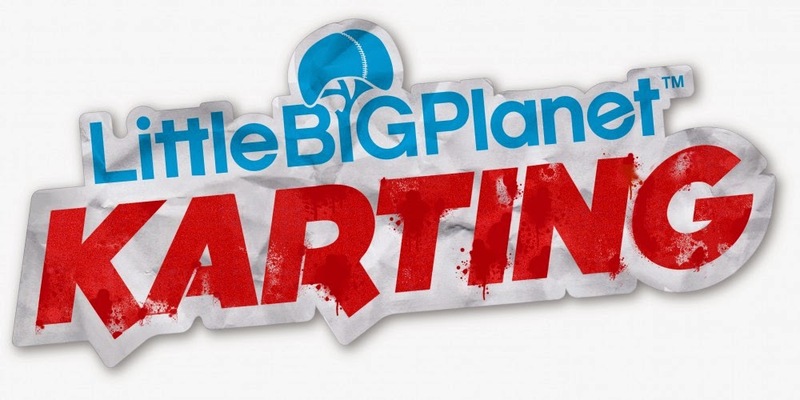 Despite much hype over the game appearing on the PS Vita, Sony quickly squashed any hopes of a release for Little Big Planet Karting PS Vita, until now. Resurfaced rumors of a Little Big Planet Karting PS Vita game had begun circulating during our unaired interview with an unnamed Sony rep for the VitaBoys Podcast about a month ago. Following the rumors of the games potential release we began digging for details with no luck. Until about a week ago when Anon230 on PSN snapped a photo of the game appearing on the PS Vita PSN store. Take a look for yourself below. 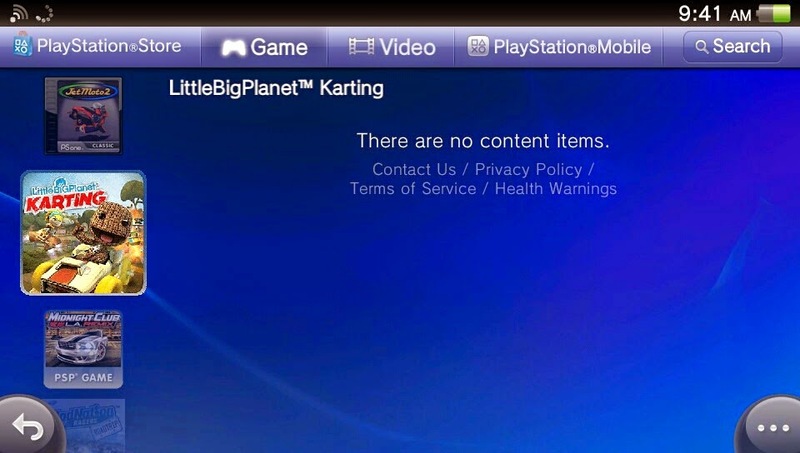 As you can clearly see the Little Big Planet Karting game has appeared on the PS Vita PSN store. However when you click on the game it says "there are no content items." Before you write this off as a fluke or misguided hopes allow us to detail some facts. Several games have appeared on the store like this well before release and still displaying no content items. For example you may remember the few PSN users reporting that a game called "Stick it To The Man" appeared on their stores. This happened slightly before its announcement. For a more recent example look at "Oddworld New n' Tasty." The game has been announced and is known to be coming to the PS Vita, its just not known when. Yet the game still appears on the PSN store displayed with ads, however prior to these ads the game appeared with no content items. So there you have it. It wouldn't be wise to get your hopes up, but all the evidence does point to a possible release of Little Big Planet Karting PS Vita.